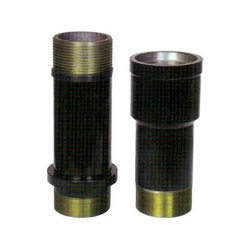 Providing you the best range of iron black adapter with effective & timely delivery. We are engaged in offering a range of Iron Black Adapter that is painted in black color. To meet the requirements of varied industry applications, we offer this range in various sizes and dimensions. The range offered by us is based on advanced technology and hence, is excessively used in generators, heat exchangers and air coolers. Looking for Iron Black Adapter ?